I go once a month to a breakfast club with some Christians; explicit Christians; business leaders, for the most part; among them, some people I have known for decades, others new to me. Anyway that’s by the by. We sit around a table and talk about journeys of faith and understanding and anything else the leader for that day wants to bring up. On the day I write about, the topic was sin. Imagine! Sin, of all improbable topics in the 21st century, engaging the attention of thoughtful Christians. Nor was this on account of Lent – then awaiting us darkly, just a week and a half distant. My brothers of the breakfast club are not Anglicans but rather evangelical types. 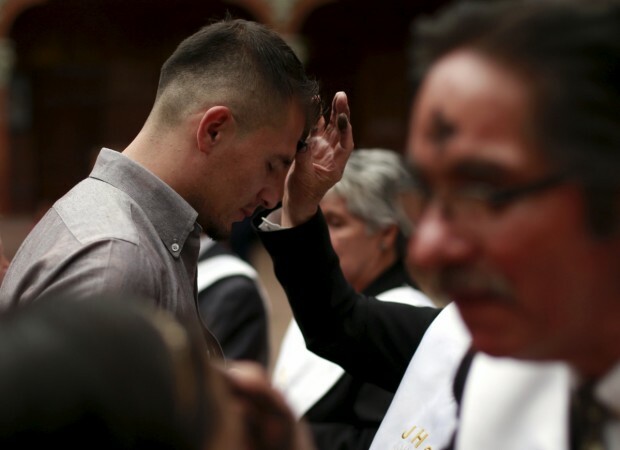 I suspect all take Lenten discipline with great seriousness but further suspect that few if any will be presenting themselves at the Altar on Ash Wednesday for shriving of the serious sort. That, too, is just by the by. The discussion centered on the impossibility of ever getting it quite right. Ever getting what right? Anything. We try, we work, we labor, we pray, we exercise ourselves in good works, and yet we don’t get it right. Duh, you might say. We’re sinners. That was the laudable consensus of the gathering -- that we’re sinners, dependent on grace. We can’t get the job done by ourselves. We have erred and strayed from thy ways like lost sheep. We have left undone those things which we ought to have done, and we have done those things which we ought not to have done, and there is no health in us. I was tempted (we Anglicans have this peculiar temptation in spades) to recite a bit of the Prayer Book for application in the context of the discussion. I couldn’t see the point of it because these fellows had it right, in language of their own – a tongue understanded of themselves. The element of sin is the great disfiguring characteristic of the human experience – one we tend to underestimate until our underestimation leads us into destruction, or at any rate serious setback. Then a few hours later I was reading on a website – I won’t mention the name of the magazine – a post by a writer – I won’t mention his name either – whom I know and respect, and he was confessing, in this very public venue, his own sins. See, he had once been a Roman Catholic convert: more catholic than the pope. Orthodox as the day is long. Then came the sexual scandals – the priestly pedophilia business – and he was rocked to the core. His description of his own trauma I found affecting and more than a little startling in such a public place as the Internet. He – this would be my interpretation – huffed out of the church and in time became Eastern Orthodox, a discipline he finds nourishing and I wish him nothing but good at this stage of the pilgrimage. But I came away from his posting with the feeling that he had overlooked something rather central in the human experience -- sin. He had posited, it seems to me, a sinless church, where orthodox belief does it all for you. He made a terrible discovery; sin was abroad in the Roman Catholic Church. The demons and devils peered through the celestories, intruded themselves into the side altars, climbed onto the backs of priests vesting for the Mass. He was surprised? Why? What exempts the one, holy, catholic, and apostolic church from the same reproach it hurls, by divine warrant, into the midst of the faithful, the semi-faithful, the totally un-faithful? A church, any church, is a community of humans, hence a community of the fallen. There is no health in it – without constant repentance and the acceptance of divine grace. My brothers of the breakfast club were onto a great truth hard to come by, much less acknowledge, in an age desiring regular affirmation of good desires and intentions. They knew -- know still – that we can’t get the job done by ourselves. The dark beauty of Lent is of course the beauty of seeing, possibly just intuiting, the reality of a hope outside ourselves; higher than we can reach, deeper, vaster than the best-trained minds can attain to. The hope is of forgiveness for the sins we know, for the sins we don’t know; for the sins of the body, the sins of the heart. We have erred and strayed… ah, have we ever! But thou, O Lord, have mercy upon us, miserable offenders, spare thou them O God which confess their faults, restore thou them that are penitent… Until the next time we fall and need again, for our rising, the assistance of celestial hands.